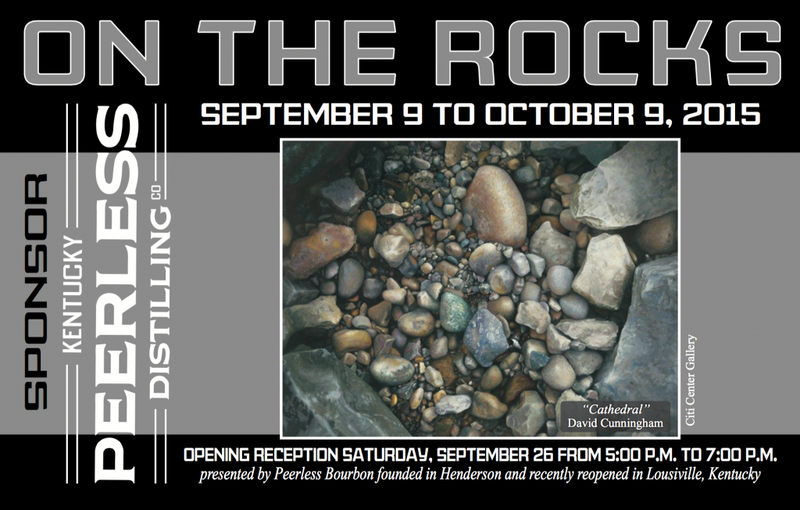 A new art exhibit has started at the OVAL Gallery in the Citi Center downtown (230 Second Street, Henderson, KY.) “On the Rocks” features the work of artist David Cunningham. The show will run until October 9 with an opening reception set for Saturday, September 26 from 5:00- 7:00 p.m.
David Cunningham’s compelling realistic paintings have been exhibited in solo and group exhibitions in galleries and museums throughout the United States. In his meticulously crafted oil paintings, he combines traditional 15th century Dutch technique with contemporary ideas about space and composition. 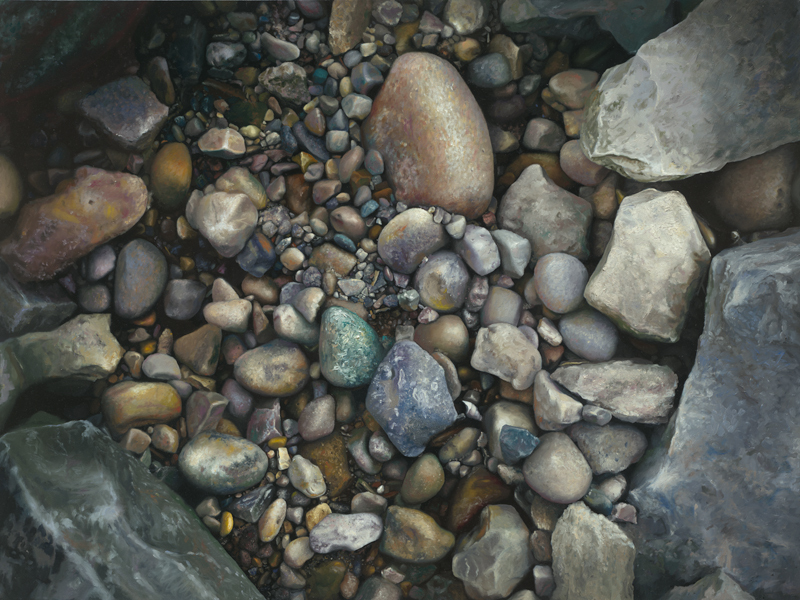 Through preliminary drawings, value based underpainting, and multiple thin layers of colors, David creates paintings that celebrate three-dimensional illusion.Professor Cunningham’s current body of work focuses on the beautiful color relationships and amazing juxtaposition of shapes and textures found in stones. The paintings reveal the power, hardness, and permanence of its subject matter creating subtle narratives that resonate with something deep, primitive, and spiritual in all of us. Over the last three years, these paintings have received high praise being exhibited in over a dozen juried and invitational exhibits. Recently, he received best of show in Fort Wayne Museum of Art’s Contemporary Realism Biennial and in the Swope Museum’s Wabash Valley exhibit. His work is found in both public and corporate collections including: St Meinrad Monastery, The Indiana State Museum, Fifth Third Bank and Vectren Corporation. In addition, his paintings have been shown in Luxe and American Artist Magazine. Currently, his work is being sold through galleries in Indiana and Michigan. David Cunningham was born in Carmel California in 1974 and was raised in Chattanooga, Tennessee. He currently lives with his wife Amber, his daughters, Mary and Colette, his sons, William and Samson, and their cat, Calvin, in Indianapolis, Indiana. In addition to painting, David is a professor of Art at Franklin College where he teaches Painting, Design, Ceramics and Issues in Contemporary Art.